Bigfoot in rarer Biosonic box version. 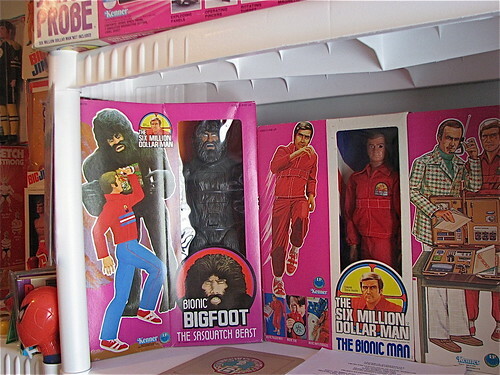 Six Million Dollar Man initial production issue…taken directly off the Kenner factory line for inspection by the designer of the SMDM crosshairs Logo on the front of the box and saved to his collection…never had tape on the box…dead mint. 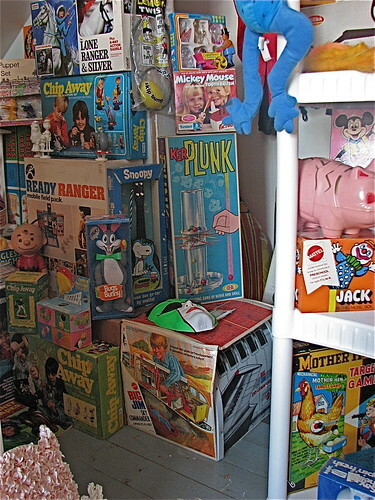 redid the room of plastic dreams and off-gassing….not me …the toys…. 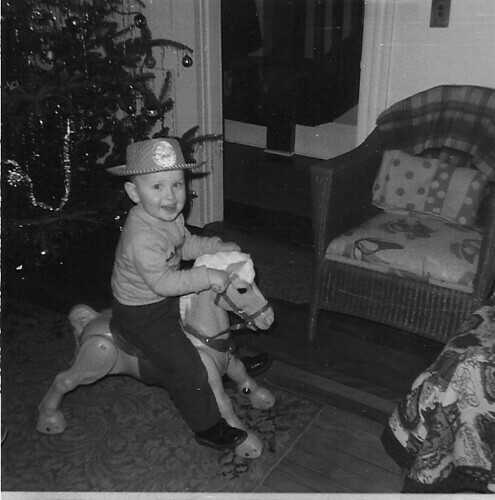 Chubbly little cowpoke goes to town….